Now read more to see the answers to those questions in your mind. Your Faith in God is what matters most to God no matter how things seem to be in your life, even the blind have faith that one day they will gain back their site, even the deaf and dumb still have faith their stories must change. Why not have faith in God and things will be different for you. A blind boy sat on the steps of a building with a hat by his feet. He held up a sign which read: "I am blind, please help." A few passers-by dropped coins in the hat. A man who walked by dropped a few coins in the hat took the sign, turned it around, and wrote some words. He put the sign back so that everyone who walked by would see the new words. Soon the hat began to fill up. A lot more people gave money to the blind boy. That afternoon the man who had changed the sign came to see how things were. The boy recognized his footsteps and asked, "Were you the one who changed my sign this morning? What did you write?" The man said, "I only wrote the truth. I said what you said but in a different way. "I wrote: 'Today is a beautiful day, but I cannot see it.'" Both signs told people that the boy was blind. But the first sign simply said the boy was blind. The second sign reminded people how fortunate they were to have their sight. Should we be surprised that the second sign was more effective? Moral of the Story: Be thankful and ever appreciating God for what you have, even the smallest of things. When life gives you 100 reasons to cry, show life that you have 1000 reasons to smile. Face your past without regret. Handle your present with confidence. Prepare for the future without fear. Having Faith in God is Addition To You as Righteousness. Keep the faith and drop the fear. It's a beautiful thing to see a person smile but its even more beautiful to know you are the reason for the smile! Faith is not about everything turning out OK. 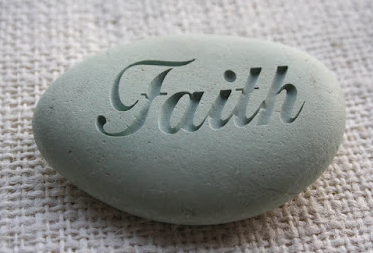 Faith is about being OK no matter how things turn out. And remember to give God the glory for the small things and He will cause the big things to manifest.